It has been almost twenty years since Jon Byrd hopped on Route 41 heading out of Atlanta, Georgia and took the exit for Nashville, Tennessee. Originally from Birmingham, Alabama, Jon was at the center for the Redneck Underground music scene during his tenure in Atlanta, playing guitar and adding his songs to the set lists of bands that he joined on stage and studio as well as his work for artists he produced. Nashville put Jon Byrd in the center stage spotlight as he began a solo run in 2004, kicking things off with the 2007 release of Byrd’s Auto Parts. 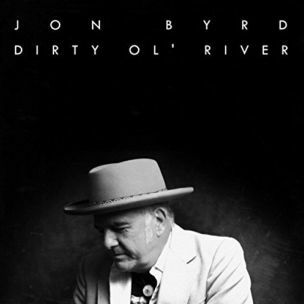 Jon Byrd continues to put his songwriting on record with his recent release, Dirty Ol’ River. The hospitality of Classic Country receives added warmth in the word of Jon Byrd. Dirty Ol’ River offers immediate friendship for its collection of Jon’s original and Country covers. Songs like “Silent Night” offer familiarity due to Jon Byrd’s constant touring as well as inclusion on the 2010 release from Eric Brace and Peter Cooper, Master Sessions. Dirty Ol’ River is stocked with songs that resonate with the joy from the good days of Country music, the album rejoining the mix of tears and beers for a take on Tammy Wynette’s “’Til I Can Make It on My Own” while honky tonk memories are embraced as the old songs play in the storyline of “I Get Lost”. Bravado takes the hand of “Giving the Devil His Due” for a spin on the dance floor and somber chords strum to back the darkness in the tale of “The Profiteer and the Balladeer” as hopeful optimism floods the belief system of “Many Rivers” and hangs with the heroes flashing by in the visions of “I Can Dream”. Jon Byrd is a keeper, as are his songs as he offers an opinion on progress for the title track as Dirty Ol’ River poses a question to Lone Star expats with “If Texas is So Great”.